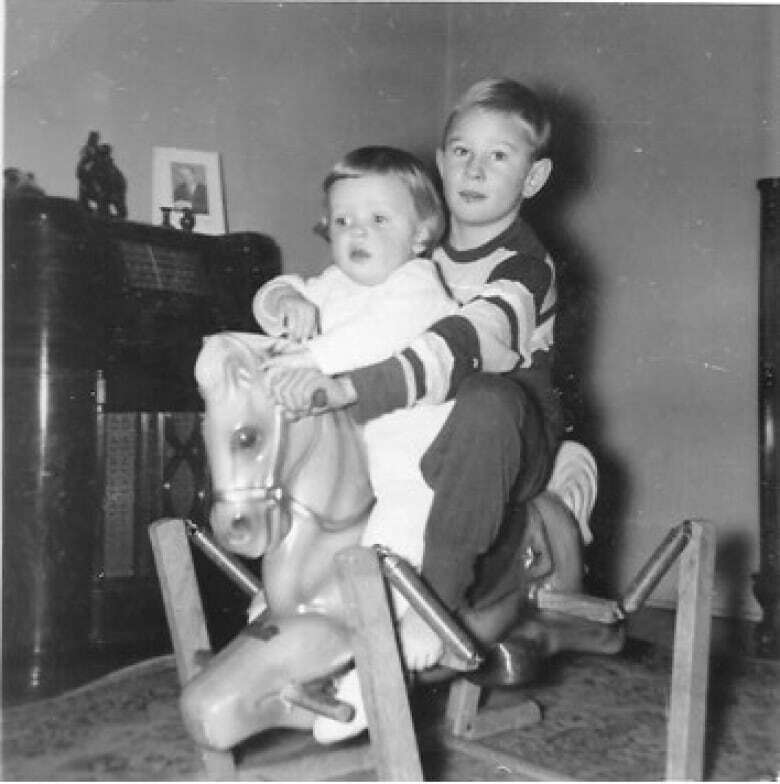 On Dec. 23, 1954, Janet Anderson was adopted by a Moose Jaw, Sask., couple. 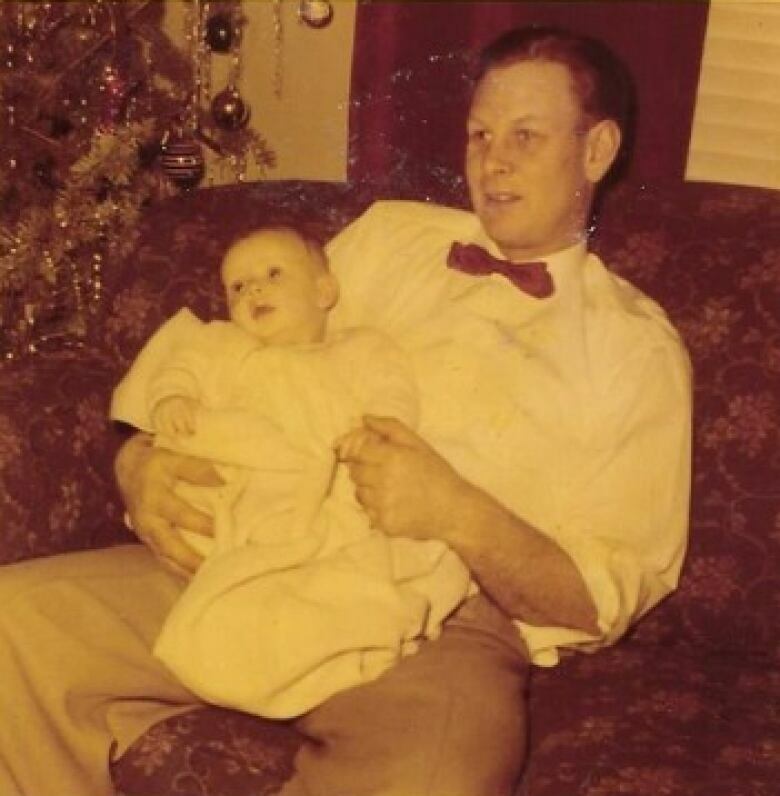 On Christmas Eve, 64 years later, Anderson will be reunited with her birth mother in B.C. Moose Jaw, Sask., woman to be reunited with birth mother, half-siblings over Christmas in B.C. 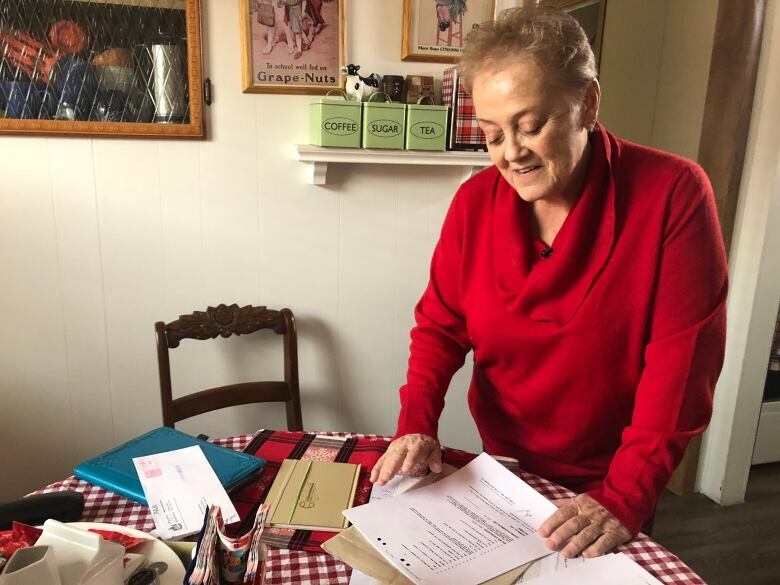 On Oct. 19, 2018, Janet Anderson followed her typical routine: She drove home from work in Moose Jaw, Sask., stopping at her community mailbox along the way. As is habit, she flipped through the envelopes in her car. One made her stop. It was from the Saskatchewan Post-Adoption Registry. The document inside was her registration of live birth. 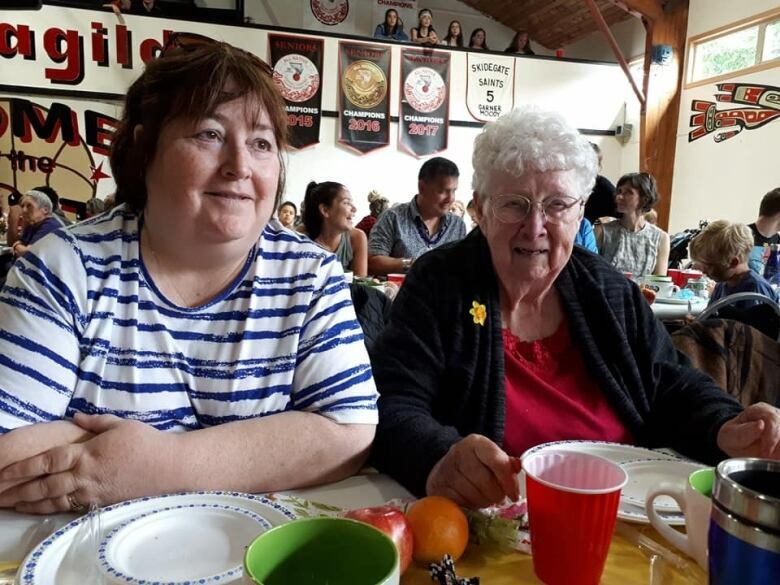 It told her that Lillian Jean Avery, a stenographer from Salmo, B.C., had given birth to her on Aug. 15, 1954, at the Salvation Army Grace Haven, a home for unwed mothers in Regina. It was information the 64-year-old had been wondering about her entire life. "It's one of those landmark days, when something happens that changes your life. You'll never forget it," she said. "My life will never be the same." She sat in her car for the next two hours, crying and looking up whatever more information she could find online. Richard and Hazel Anderson, a couple from Moose Jaw, some 65 kilometres west of Regina, adopted Janet on Dec. 23, 1954. 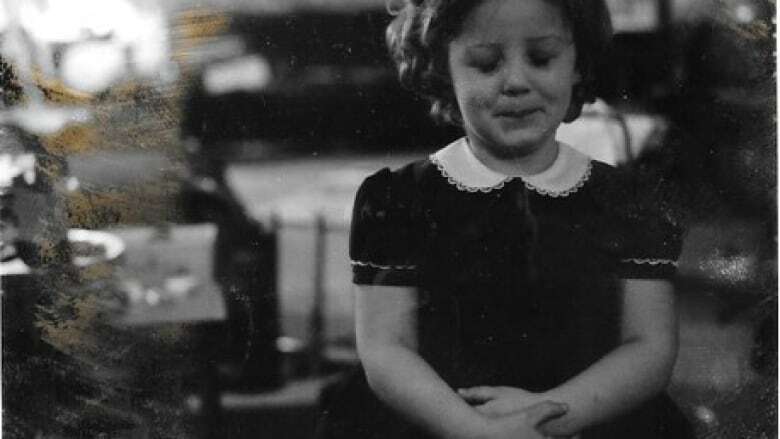 On Christmas Eve, 64 years later, Janet will be reunited with her birth mother. Avery, who always went by her middle name, was 25 and single when she had Janet. She was working for a medical supply company in Regina at the time. In September, Avery's father visited her and they together decided that she would put the baby up for adoption. "You did not become a single mother in 1954," Janet said, who has learned nothing about her father other than he was 24 at the time of her birth. "You would be deemed as a fallen woman. Especially if you lived in a small town, people can be very cruel." Avery then moved to Salmo, a village in the southeast corner of British Columbia near the border with Washington. Janet thought: If Avery was still alive, she would be 89. Janet found a newspaper article online profiling the pioneer families of Salmo. 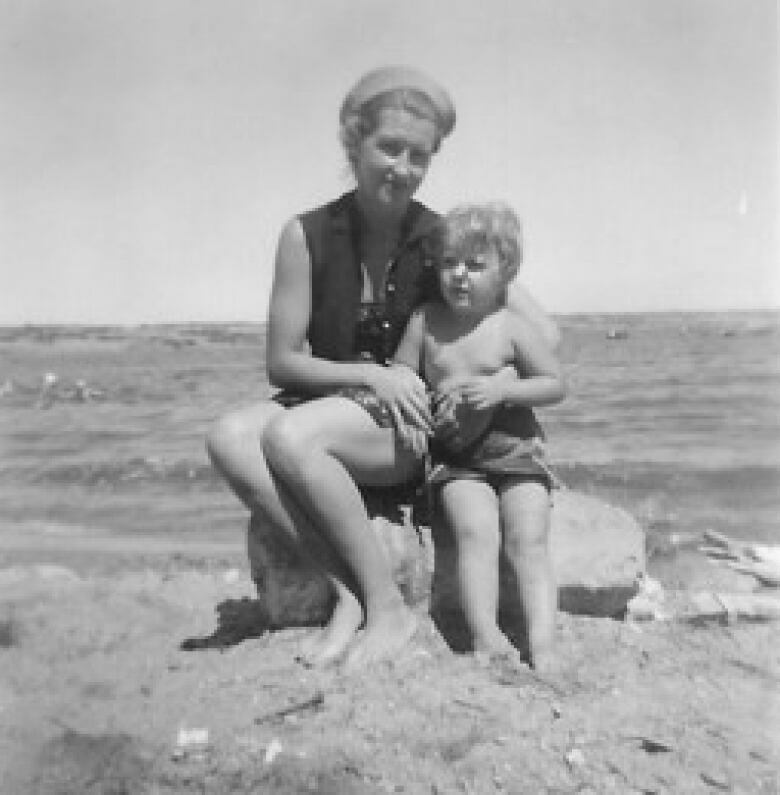 It had a photo of her birth mother, which referred to her as Jean Stahl. She had married Kurt Stahl in 1956 and the couple raised four children. Then Janet found Stahl on Facebook. "I was just gobsmacked. I found my birth mother." She messaged Stahl's daughter Elaine Stahl on Facebook, saying she believed she might be her sister. Three days later, she got a message back: "Hey, sis, I can't wait to get to know you," it read. "All of a sudden you have all these emotions that are going through you," said Janet. "So many questions that you have, and you know that eventually you're going to get the answers to these now." Elaine admitted to Janet that at first, she was in disbelief, even convincing herself it was probably some sort of scam. She asked her mother about the message later that week. At first, Jean denied giving up a child for adoption. "There was silence and then she said, 'It was 1954,'" said Elaine. "I was absolutely shocked because I had never heard about it." Jean hadn't told Elaine, her two brothers or their late sister about the baby she had before marrying their father. In fact, her husband was the only one who knew besides her parents. A few days later, Janet was at a friend's house for a coffee party, telling the group about her birth family, when her cellphone rang. "Hi. This is your birth mother," the voice on the other end said. Janet excused herself and went into a bedroom. She talked to Jean for an hour and a half, but couldn't remember much of what she said during that conversation. "Her voice was like a song in my heart. There was an instant love there," Janet said. "It was just like our hearts knew each other." Janet always knew she was adopted, but never felt like she had been abandoned by her birth family, because her parents told her she was their "chosen child." 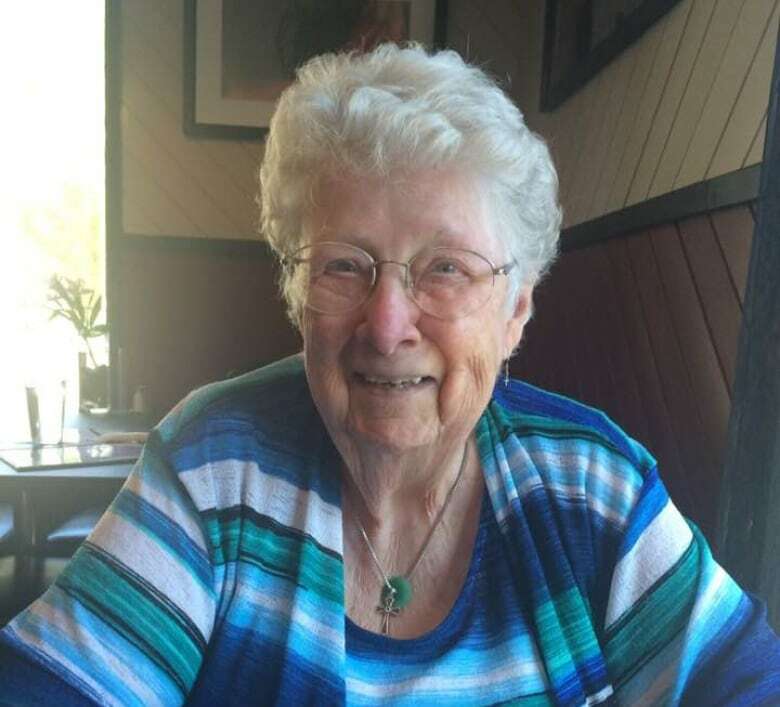 She spent summers at the family cabin at Buffalo Pound Lake near Moose Jaw, baking with her mother and squabbling with her brother, Don. Growing up, she didn't have an interest in meeting her birth family. But her parents told her that if she ever did want to search for information, they would support her. When Janet moved to B.C. for a brief while, her mother would mail her newspaper clippings of families being reunited years after adoptions. In 1991, Janet's mother finally convinced her to apply for non-identifying information about her birth mother. Hazel was worried her daughter would enter middle age being predisposed to health conditions she wasn't aware of. Eventually, Janet got a letter back from the government stating incorrectly that her birth mother was 18 and enjoyed knitting. 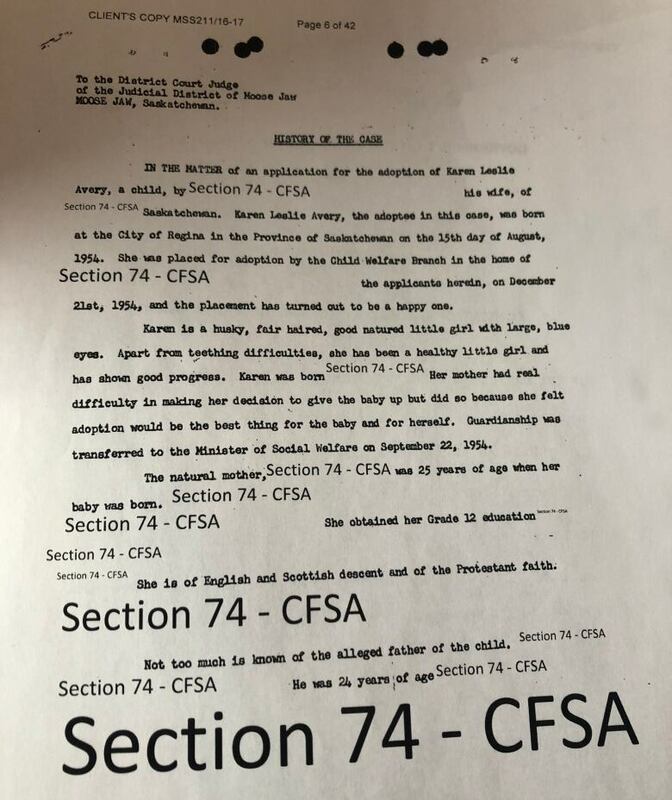 She applied again years later and got a complete copy of her adoption file, with all of the names and places redacted. Then, on Jan. 1, 2017, the Government of Saskatchewan opened its adoption records. The regulatory change meant that instead of adoptees having to get consent to look up their birth parents, birth parents and adult adoptees must file a veto if they wish to prevent the release of identifying information. Birth registrations list the names of the parents, the name of the child at birth, the location of the birth, and the name of the hospital. Access to adoption info made easier in Sask. "With so much information now available online and through social media, individuals really want to conduct their own searches and this is the way we were able to support them in doing so," said Tobie Eberhardt, executive director with child and family programs. Since the change, 1,400 people in Saskatchewan have applied for their registration of live birth and, as of this week, more than 1,300 documents have been sent out. Anderson submitted an application in February 2017. 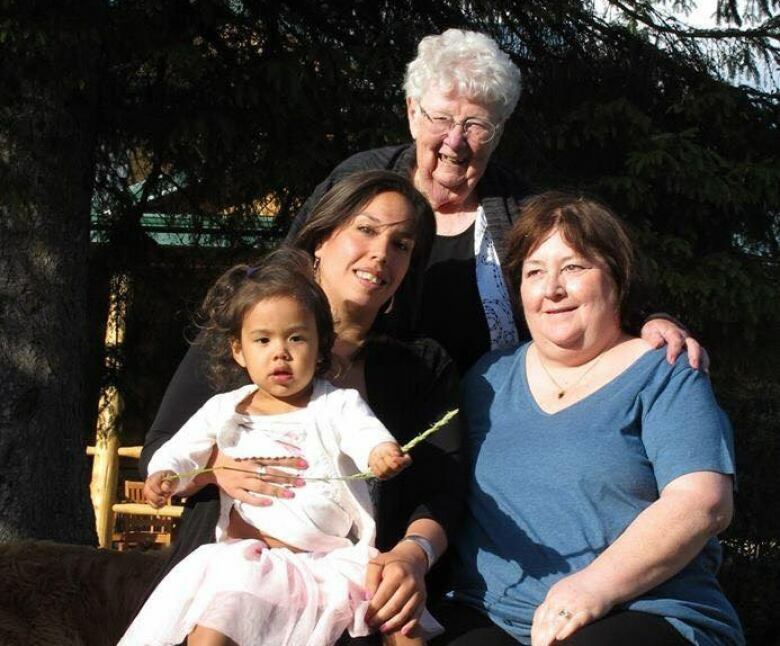 Her adoption papers state: "Her mother had real difficulty in making her decision to give the baby up but did so because she felt adoption would be the best thing for her." "She wanted me to have a better life — she really, truly did," said Janet. "She gave me the gift of a family that loved me." Since that first phone call, Janet and Jean have been speaking regularly. They talk about everyday stuff, like Jean getting her nails done in the next town over or visiting the doctor — catching up on decades of missed mundane conversations. Elaine and Janet text on a daily basis, too. They have determined they have a lot in common. Both were wild teens, share a dark sense of humour, and "live off coffee." Plus, Elaine now revels in the fact that she's "not the shortest one in the family anymore." Janet has no problem calling Elaine her sister, but said she hasn't quite figured out what to call Jean. "My mom and dad that raised me will always be my mom and dad. My brother will always be my brother," said Janet. "Whereas most people will only have one family, I am blessed to now have a second family." That second family has welcomed Janet with open arms. Elaine is hosting a Christmas gathering at her home on Haida Gwaii, B.C. Jean is travelling there from Salmo. A few weeks ago, the family reached out and asked Janet to join them. "I just want to share with her all the things that we missed," Elaine said. "I want to lie in bed with her and tell her stories and tell her my fears and tell her my secrets ... She's my sister and I want her to be my sister for all intents and purposes." Janet said the invitation felt like "a total acceptance." To raise money for the trip, she started a GoFundMe campaign, which has almost hit its goal. Janet will fly onto the island on Christmas Eve. She said she is most excited about seeing her birth mother for the first time: "To look in her eyes and know that this is the person who gave me life, and this is the person who, after giving me life, gave me a better life. Alex Soloducha is a reporter for CBC Saskatchewan.